Our annual open day is next Sunday September 9th, the day starts with coffee from 10.00am and the horses will be paraded from 10.45am followed by light refreshments with a chance for everybody to meet new an existing staff. 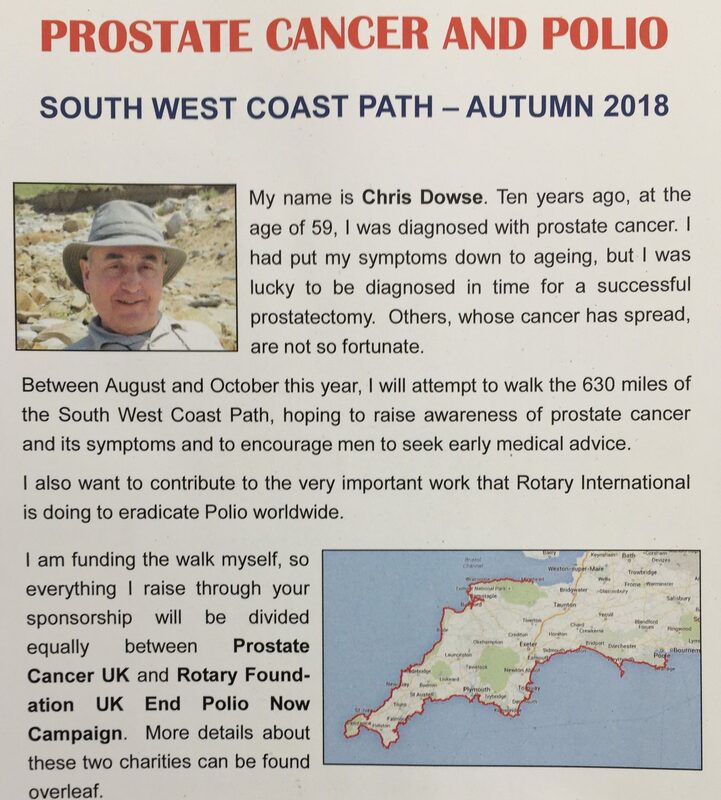 This year I am asking for donations for prostate cancer and polio. An ex university friend of mine is currently walking the South West Coastal path which is 630 miles and extremely undulating. Chris himself had a prostate scare and I’m sure most have had family/friends who have been in the same position. It is a very worthwhile cause and I hope we can raise a significant sum. Howardian Hills runs at Kempton tomorrow, he is in fine form and we are hoping a slight change of tactics will help.